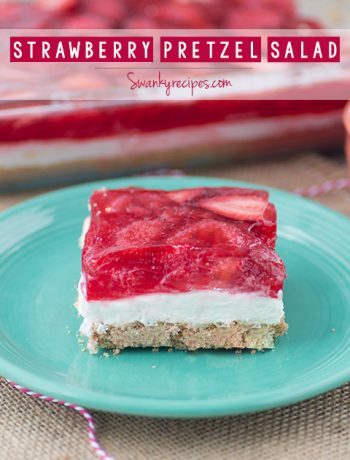 The perfect summer dessert starts with fresh strawberry and cream dessert bars baked on a sugar cookie crust. These dessert bars are irresistibly smooth and creamy with a fluffy cookie crust. If you are looking for a delicious dessert, look no further! This easy dessert has a soft sugar cookie crust with a creamy white chocolate cheesecake filling and is topping with luscious, fresh strawberries. I have been seeing all sorts of dessert bars pop up recently so I wanted to add to it with one of my favorite dessert bar recipes! With all the extra strawberries from the farmer’s market, I’ve been on a strawberry baking spree these past few weeks. It’s no wonder this is my favorite season. No matter how many strawberries I have in the fridge, I keep coming home with more. 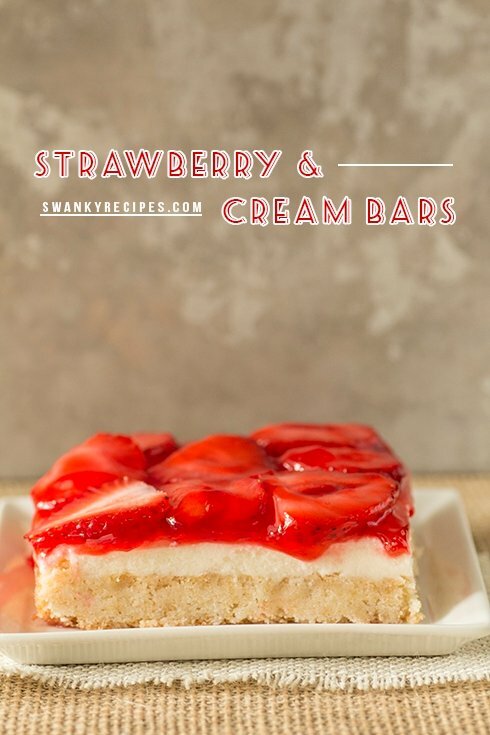 These strawberry cream bars are perfect for this time of year. Adding a scoop of vanilla bean ice cream to the top is completely optional. Looking for a fast alternative to making this? Use a pre-made sugar cookie mix instead of making your own. Simply use a store bought, pre-made sugar cookie mix, like Betty Crocker. You will need 1/2 butter softened (1 stick) and 1 egg. Combine Betty Crocker Sugar Cookie mix, butter and egg. Hand mix together until a dough forms. Press down in a greased 9×13 pan and bake at 350 degress F for 15-20 minutes. Follow directions for the filling and topping to complete the recipe. 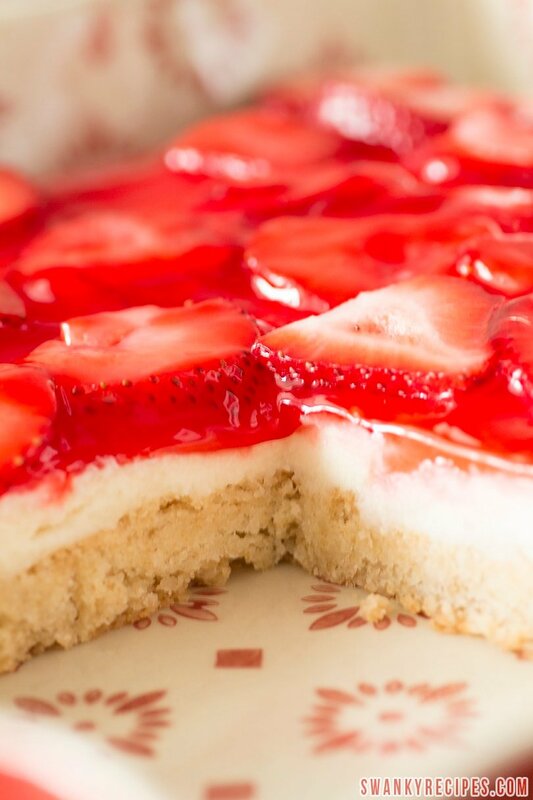 The perfect fluffy and light sugar cookie base with a creamy white chocolate cheesecake creamy center and fresh strawberry topping make this one of my favorite summer desserts. I cannot think of a better way to use a carton of fresh strawberries from the market. 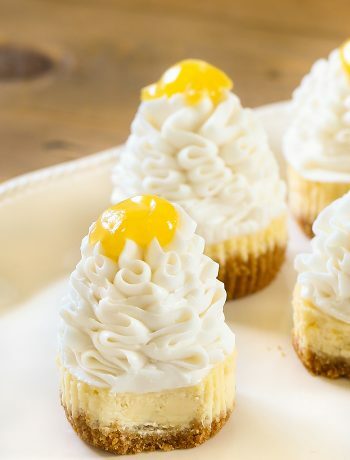 A soft sugar cookie crust with a smooth and silky white chocolate and cream cheesecake center. The top is smothered with a fresh strawberry topping. Preheat oven to 350 degrees F. Grease a 9x13 baking pan; set aside. Sugar Cookie Crust Mix cookie mix in a bowl. Gently press the batter into the greased pan and spread out with hands. Buttering your hands helps to spread this better. Bake 15-20 minutes or until lightly golden. Remove from oven and allow to cool completely. For the Filling - In a small, microwave safe bowl, microwave chocolate chips and 2 tablespoons heavy cream for 45 to 60 seconds or until chips are melted. Stir until smooth. In a small microwave safe bowl, microwave cream cheese to soften; about 30 seconds. In a medium bowl fitter with a mixer, combine melted chocolate and cream cheese and beat until smooth. Spread mixture evenly over the cooled sugar cookie crust. Refrigerate while making the topping. Strawberry Topping - Wash and slice strawberries. In a small bowl, crush 1 cup sliced strawberries, In a small saucepan on medium heat, add the 1 cup crushed strawberries, sugar, water and cornstarch. Stir mixture constantly until mixture boils and thickens. Remove from heat and let cool 10 minutes then gently fold in remaining strawberries. Spread over chilled filling. Cover and refrigerate for at least 1 hour. Looking for a fast alternative to making this? Use a pre-made sugar cookie mix instead of making your own. Simply use a store bought, pre-made sugar cookie mix, like Betty Crocker. You will need 1/2 butter softened (1 stick) and 1 egg. Combine Betty Crocker Sugar Cookie mix, butter and egg. Hand mix together until a dough forms. Press down in a greased 9x13 pan and bake at 350 degress F for 15-20 minutes. Follow directions for the filling and topping to complete the recipe. they look delicious! i love the crust! These look absolutely delicious. I plan on trying this soon. These and look and sound so delicious! Thanks for sharing at Saturday Sparks. You have been featured today. I’m honored I was featured. Thank you for hosting Saturday Sparks! 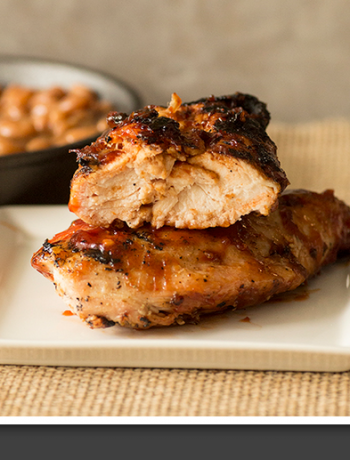 Thank you for this recipe, it looks very nice and I will try it soon. However, I have a question: when is the moment to add flour into butter/cream mixture? Maybe I don’t read your instructions well, as English is not my language (I’m Dutch). Thank you for your answer! Hi Pam, sorry for the confusion, I updated the recipe. The flour-dry ingredient mixture will be slowly added after the sugar and butter are mixed. Everything will need to be mixed together then pressed into a pan and baked to form a crust. Hope this helps, thanks again. Have a good weekend. I made this today and it is yummy!! The whole family loves it. So good on a hot summer say and very pretty to boot! I followed the recipe exactly. Will definitely make again. Glad you liked it, it’s wonderful in summer! All I see is the store bought version. I don’t see anything that calls for flour as someone ask about. Where is the original cookie recipe? you are mixing a store bought cookie mix with butter and an egg to form the sugar cookie dough bottom crust.